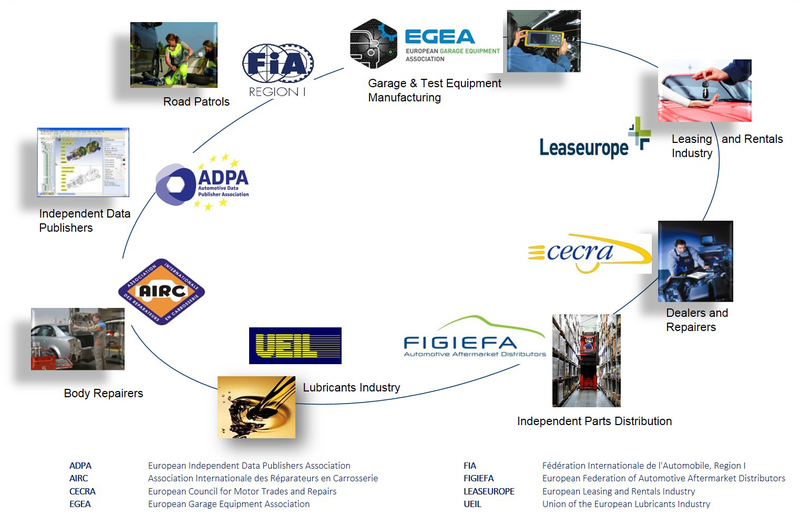 EGEA, together with seven other European associations of the automotive aftermarket, is an active member of the AFCAR Alliance, the Alliance for the Freedom of Car Repair in the European Union. Its goal is to safeguard free competition in the automotive market for service, maintenance and repair and to represent independent aftermarket operators in the field of unrestricted access to technical information. EGEA participates in the Right to Repair Campaign (R2RC). Initiated by AFCAR in 2007, this Europe-wide campaign is a major communication tool that aims at maintaining a level-playing field in the automotive aftermarket, advocating for the access to technical information, spare parts, multi-brand diagnostic tools and test equipment, and training needed to ensure quality repair and maintenance services, at affordable prices. See the big picture – short version 2016-04-29 from eleonore van haute on Vimeo. EGEA is a partner of Automechanika, the world’s leading trade fair for the automotive service industry. Today, the portfolio of Automechanika holds 17 events in 15 countries. The Automechanika brand is backed worldwide by around 20,000 exhibitors, 600,000 trade visitors and 45 years of experience. The Automechanika is unique with regard to product-range breadth and depth. It is split into the following product segments: parts & components, electronics & systems, repair & maintenance, accessories & customizing, car-wash/care & re-conditionning, as well as management & digital solutions. Autopromotec is an international exhibition of automotive equipment and aftermarket products held every other year at the Bologna Trade Fair Center. Founded in 1965, the event is organized by Promotec, a trade show services company owned by AIRP – Associazione Italiana Ricostruttori Pneumatici (Italian Tyre Retreaders Association) and AICA – Associazione Italiana Costruttori Autoattrezzature (Italian Garage Equipment Manufacturers Association). The show includes 575 product groups, covering all sub-sectors of the aftermarket industry. Through intensive promotional activities supported by Italian institutions and trade associations, Autopromotec has been experiencing a continued growth at international level. Every edition of the Autopromotec show also hosts AutopromotecEDU, a think tank focusing on professional training and on the latest industry trends.